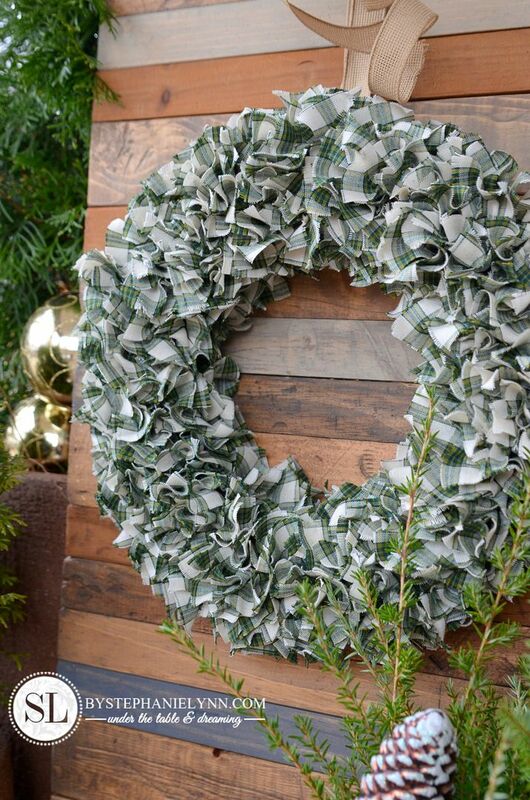 Plaid Fabric Wreath – How to Make a Rag Wreath | If you are looking for an incredibly easy handmade wreath for the holidays – this rag wreath would be the answer. It can be made with any color or patterned fabric to coordinate with your holiday decor and requires just a few simple supplies to create … (no crafting experience necessary). 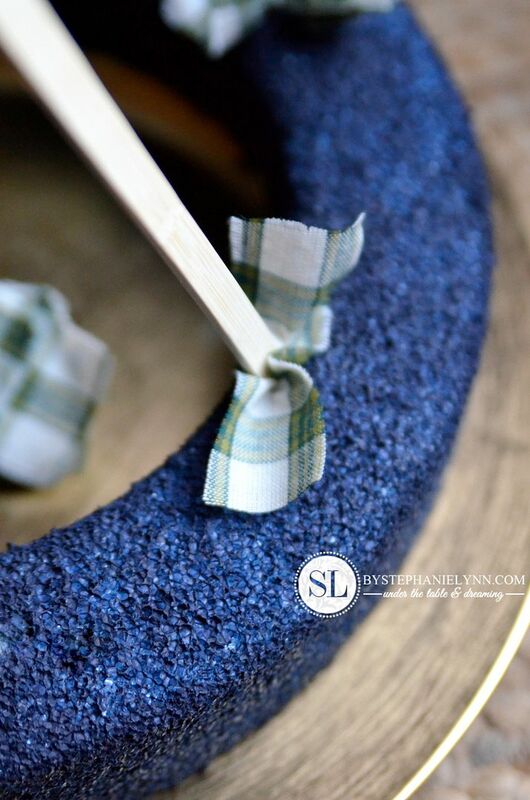 I’m a little obsessed with plaid and think it’s a perfect fit for the Christmas season – so I made mine with an inexpensive cotton homespun. 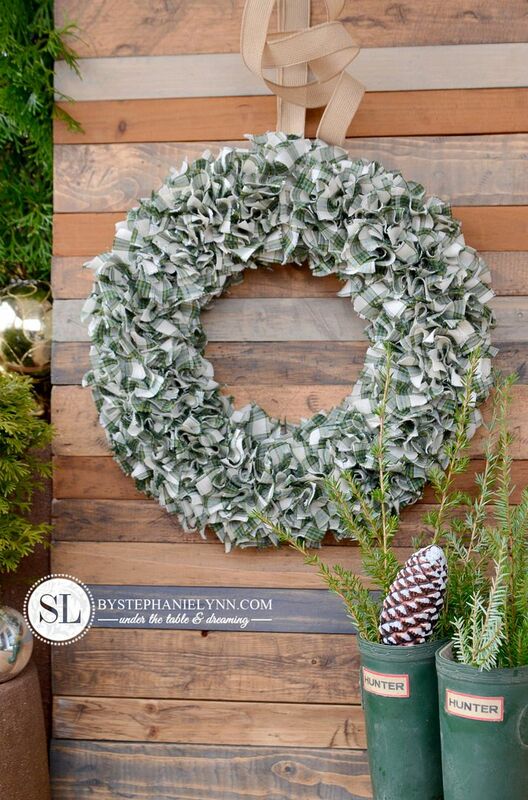 Are you ready to see just how easy it is to make this wreath? 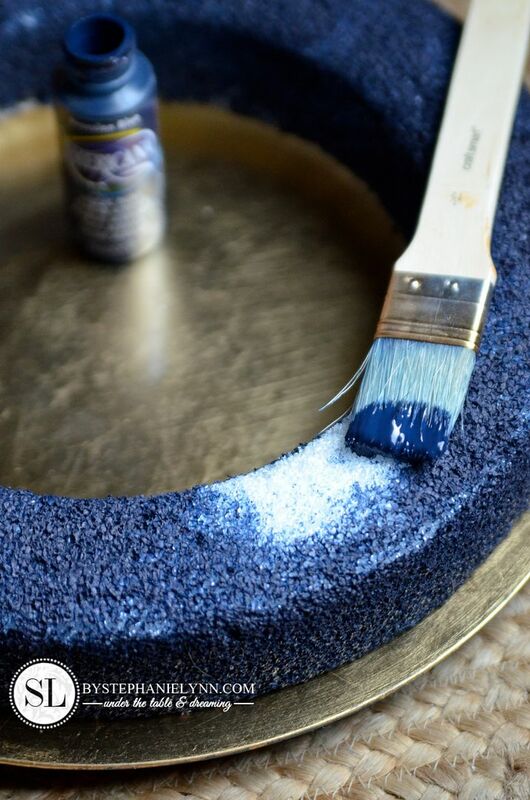 Step One: Paint the wreath ring. 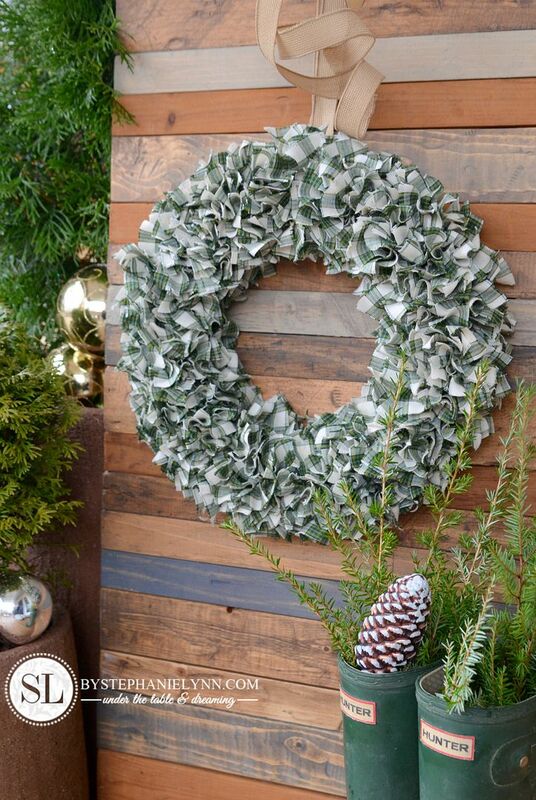 This is not necessary but does help conceal any spaces that may be seen in-between the fabric pieces and also gives the back of the wreath a finished look. Any water based craft paint can be used – I simply used acrylic crafting paint. 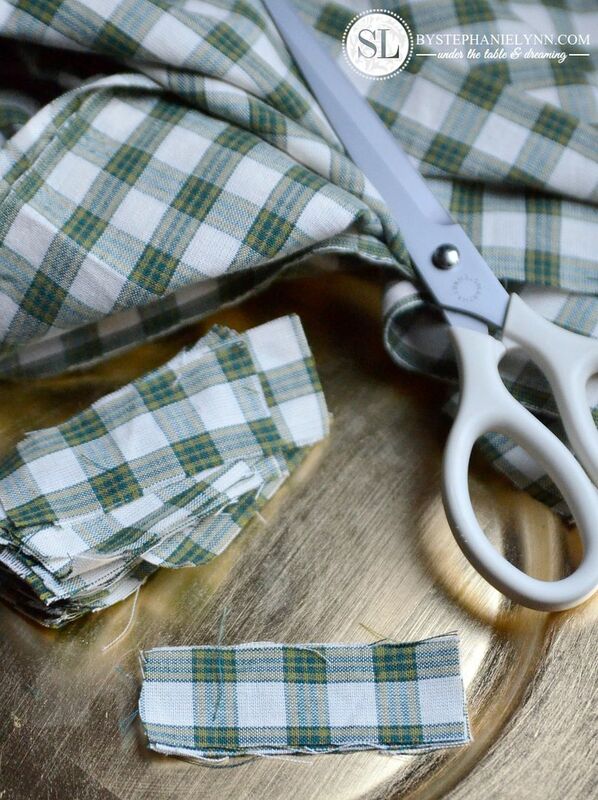 Cut the fabric in strips, approximately 1 inch wide and 3 inches long. The pieces do not have to be exact as once they are place on the wreath, they are quite forgiving. 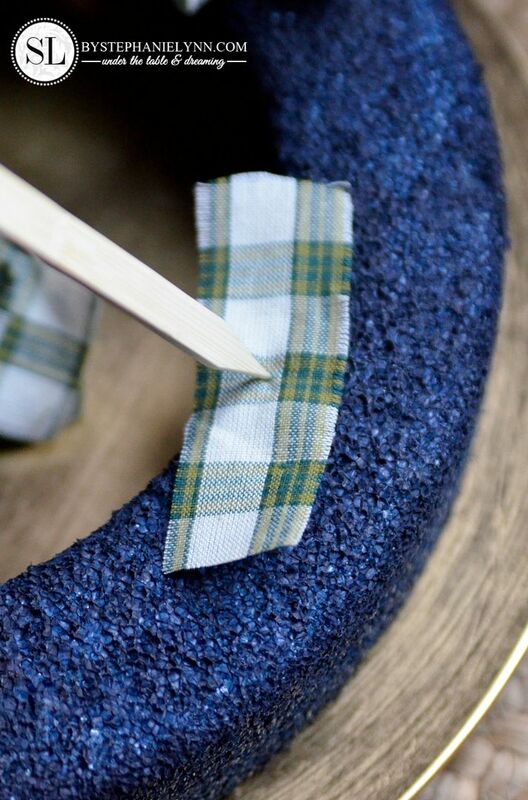 Step Three: Punch the fabric strips into the foam using a wooden skewer. For added security white glue can be added to hold the fabric in place – though I did not use any on mine as the FloraCraft® Make It: Fun® Foam held the fabric pieces really well. The skewer only needs to be inserted about a 1/4 inch into the foam, as shown above. Place the fabric strips approximately 1/4 to 1/2 inch apart – the goal is not to have any of the foam base show. Step Four: Add ribbon for hanging. If using a ribbon hanger, attach the ribbon to the side of wreath with hot glue and before the glue sets add thumbtacks for additional support. 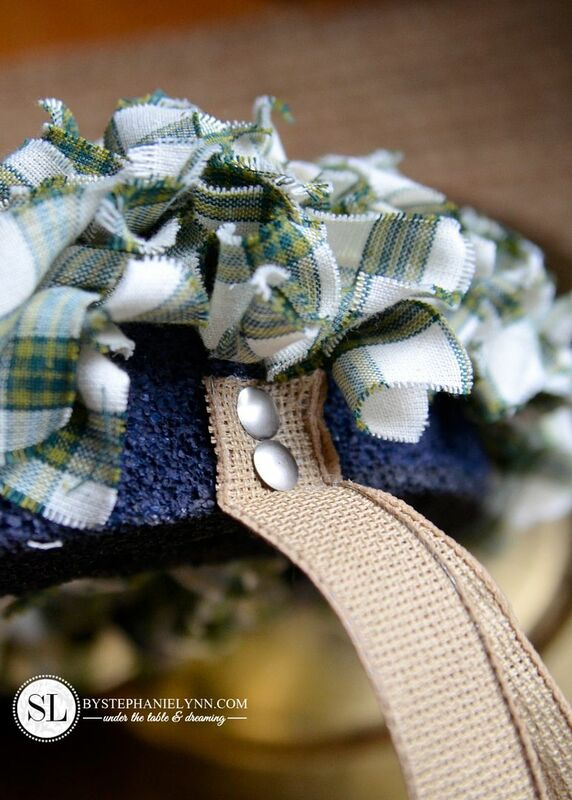 Once the ribbon is in place, continue filling in the side of the wreath with additional fabric strips. 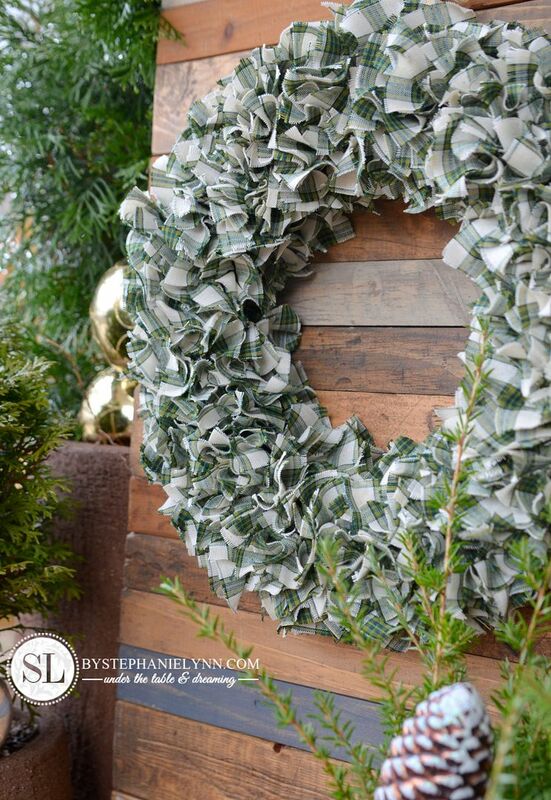 I just adore the finished look of this wreath and love the touch of plaid it adds to our seasonal decor. The repetitive process is much like the Rolled Paper Rose Wreath, but it doesn’t take nearly as much time to complete. 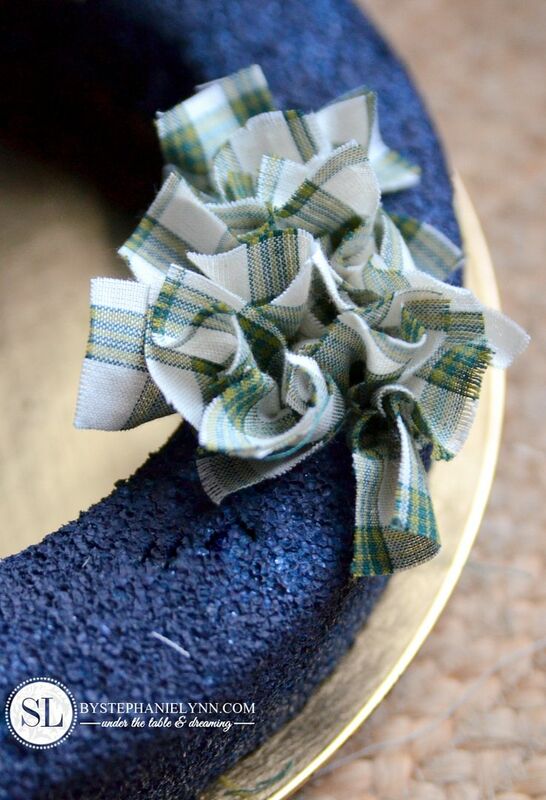 I’m pretty excited with how this turned out and with all the different pattern varieties, I can see another plaid fabric wreath coming in the near future. I have been selected as a member of the FloraCraft® Make It: Fun® Team. This post is brought to you by FloraCraft® and Dow. The opinions read here are entirely my own. For more crafting and project inspiration, check out the Make it: Fun Website, as well as the Crafts ‘n Coffee blog. 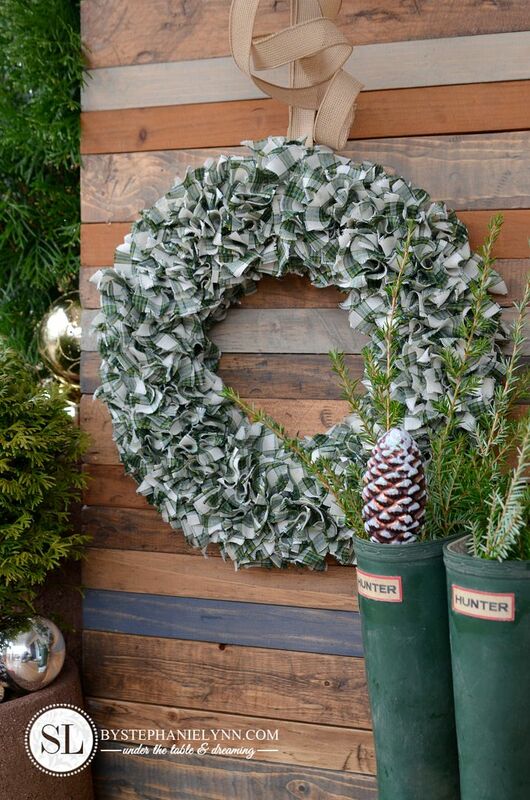 Your wreath is so pretty, from the homespun plaid to the burlap hanger. Perfect! And you’re right, it’s almost like meditation when you make it. Sharing! I love this! I haven’t seen one of these done before. 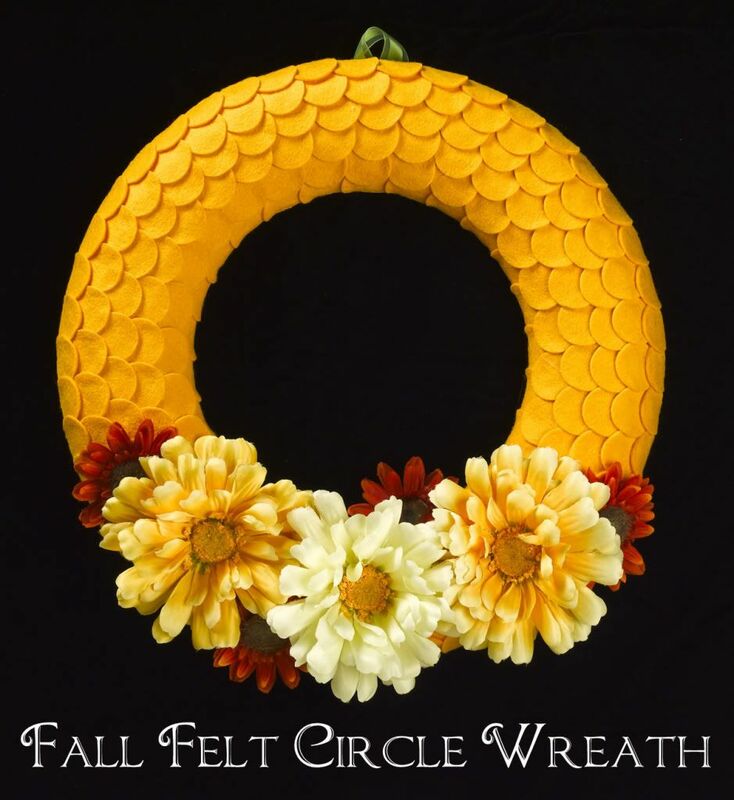 With so many fabrics out there, this is a great wreath that could be themed for whatever your decor is. Thank you for sharing. I use to make these wreaths but i used a pencil with the point broken off, stick the pencil point in middle of cloth, wrap cloth around the pencil and dipped the tip of fabric into glue, (I used elmers white school glue). If glue is to thick water down a bit. Your wreath is lovely and it inspired me to try one. I bought a green foam wreath from a craft store (with a 50% coupon) and bought 4 napkins at a discount store. I had so much fun putting this together and it cost me less than 8 bucks! 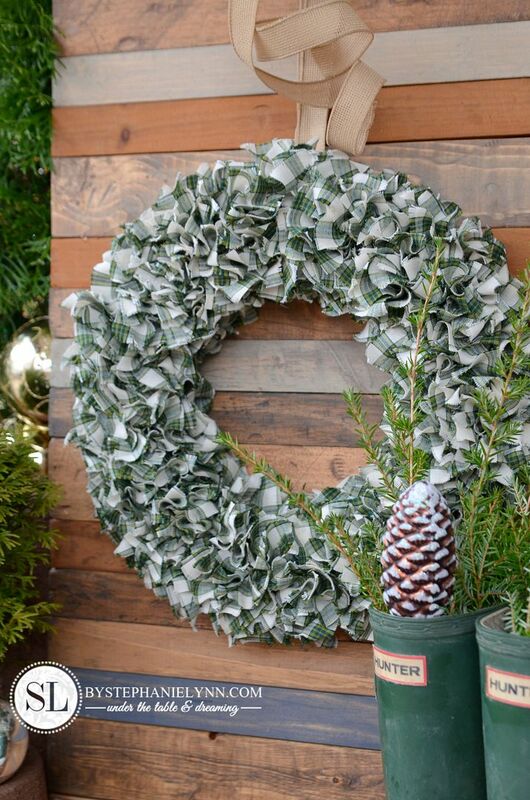 Wreaths easily sell for 20, 30+ dollars in stores!